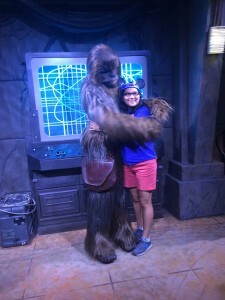 Now that I’m officially friends with Chewbacca (see proof below), I can tell you three tips I learned this weekend at Disney World. Kids meals: it’s not a secret that food in the parks and in the resorts is EXPENSIVE. How expensive is it? : $2 for a banana my friends. Two dollars. Well.. this weekend I discovered that kids meals are half the price of a regular meal, and they come with a beverage and side item (aka fruit!) included. The size of the meal is good, and having the beverage and side item makes it a pretty good deal. You can order kids meals at the parks or at the resorts. Fast Pass: well.. this is not a secret. 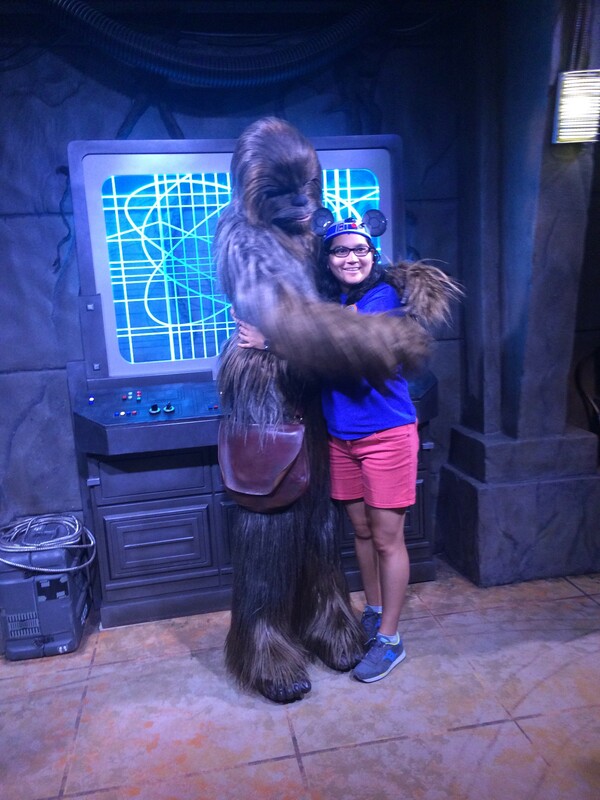 Fast passes save you time. The new thing with Fast Passes is that you have to pre-order them via web or using the app. The secret here is that you need to choose wisely because you can even use Fast Passes for watching the fireworks. And that’s the secret! Use one of your Fast Passes for watching the fireworks at the end of the day. The location would be amazing, and also you will be “close” to the park exit so you can go to your hotel faster. Stay in a Disney resort: if you’re flying in and won’t have access to a car, staying in a Disney resort is a good option. The resorts have transportation from/to the airport, to the parks and to Downtown Disney. Yes, food is expensive, breakfast is not included, but the transportation is worth it.